Starting Nov. 27, motorists may want to avoid I-895 in Baltimore as traffic is likely to snarl due to a scheduled two-year, $189 million project to replace the 60-year-old bridge north of the Harbor Tunnel. Starting Nov. 27, motorists may want to avoid I-895 in Baltimore as traffic is likely to snarl due to a scheduled three-year, $189 million project to replace the 60-year-old bridge north of the Harbor Tunnel. The work will replace the entire bridge, as well as the ramp to Holabird Avenue. Rehab work will also be done to the Harbor Tunnel, including the tunnel portal, approach ramps and walls, and deck tiles. The work is being performed by Tutor Perini Corporation. The preliminary work began in April 2018 and will be finished in the summer of 2021, the MTA said. "This I-895 Bridge is the MDTA's only remaining structurally deficient bridge," MDTA Executive Director Kevin C. Reigrut said in a statement. "We ask our customers to be patient as we deliver this long overdue project and remind motorists to drive safely through work zones." 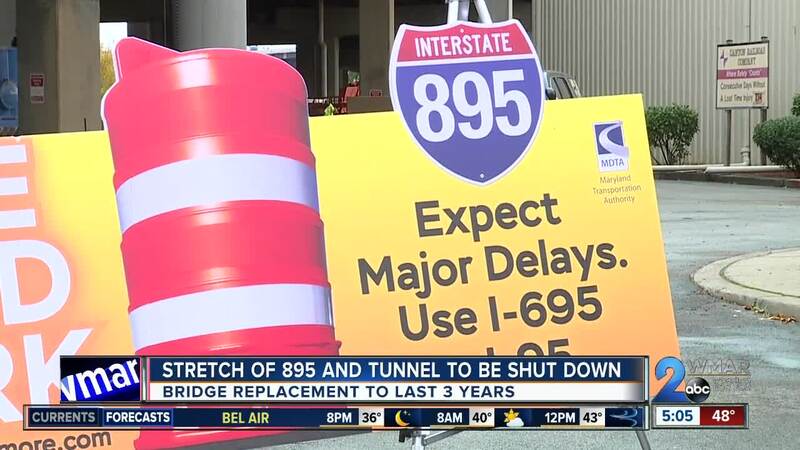 Drivers are encouraged to take I-695/Key Bridge and I-95/Fort McHenry Tunnel as alternate routes while the work is being done. Northbound I-895 will completely close for one year from the north side of the Harbor Tunnel to the Boston/O'Donnel Street exit (Exit 11) for one year starting Nov. 27. Two-way traffic will be diverted onto southbound I-895 during this time. 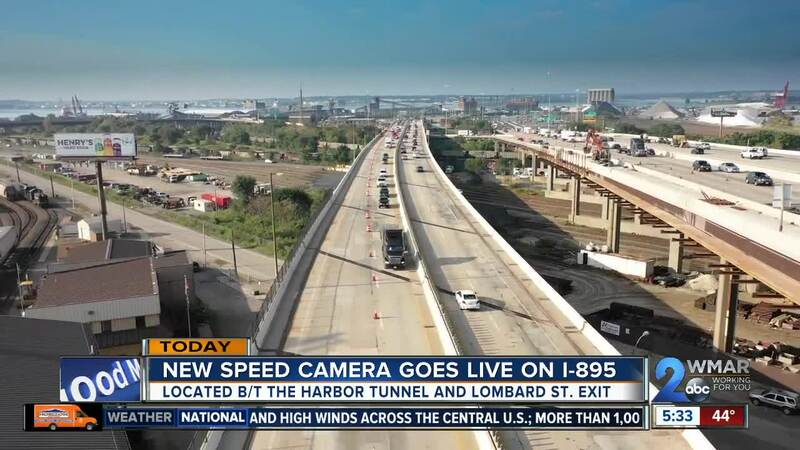 Exit 10 for Holabird Avenue will be closed, with access to the ramp from Northbound I-895 set to reopen in the spring of 2020. The northbound bore of the Harbor Tunnel will be closed completely for a 60-day stretch in the spring of 2019, diverting all two-way traffic to the southbound bore. In the spring of 2020, work will shift to the southbound lanes, as they close completely until the spring of 2021. Two-way traffic will be rerouted to the northbound lanes at that time. 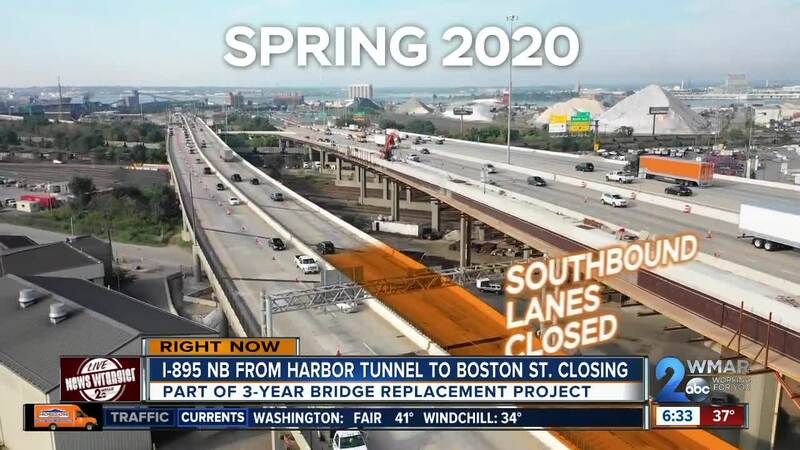 The southbound bore of the Harbor Tunnel will also close for 60 days in the spring of 2020, again diverting two-way traffic to the northbound bore. The MDTA will provide travelers with more details about delays through its Twitter and Facebook feeds. An Active Traffic Management System will alert drivers to ongoing traffic conditions.